By 1880, European immigrants, enabled by their social institutions and technology, had largely displaced the stone-age inhabitants of the current United States. That is the likely year of the novel, Nagodzaa: A Warrior’s Elegy, by Arley L. Dial. It is a believable, highly readable, and engaging snapshot of this transition’s end game in the Arizona territory. Mr. Dial moves smoothly between points of view, taking us inside the feelings and thoughts of cavalry soldiers, both white and black, Indian agents, Apache scouts, Mexican vaqueros and Apache warriors. You’ll find heroes and villains, desperate fights, love, hate, horrors, humor, justice of a sort, even a cavalry charge, but this is not a Hollywood treatment. Don’t expect noble savages, heart-of-gold cowboys, or John Wayne soldiers. When we hear the Apaches talking and thinking there is no, “Ugh-How-Me heap Paleolithic philosopher,” language, although his sparing use of Apache vocabulary and names is effective. Nor, are the Native Americans simply white men wearing scanty clothes. Mr. Dial works from the basic humanity of his characters, and gives us their words, thoughts and deeds from within the context of their culture. Even the bad men, and they are very bad indeed, come to us as human beings working from different motivations, morals, and social values. To the Europeans, the indigenous tribal-groups were at best a religious challenge and at worst a dangerous nuisance. To the aboriginal Asian immigrants, long established in the New World, the Europeans were a befuddling menace, against whom they fought a lingering and fragmented war, until finally overwhelmed around the end of the nineteenth century. The progress of European, now called American, settlement accelerated after the founding of the United States. By the end of the Civil War, in 1865, the so-called American Indians had been neutralized in all territory east of St. Joseph Missouri, along most of the Pacific Coast and in a large swath through much of Montana, Idaho and Utah. 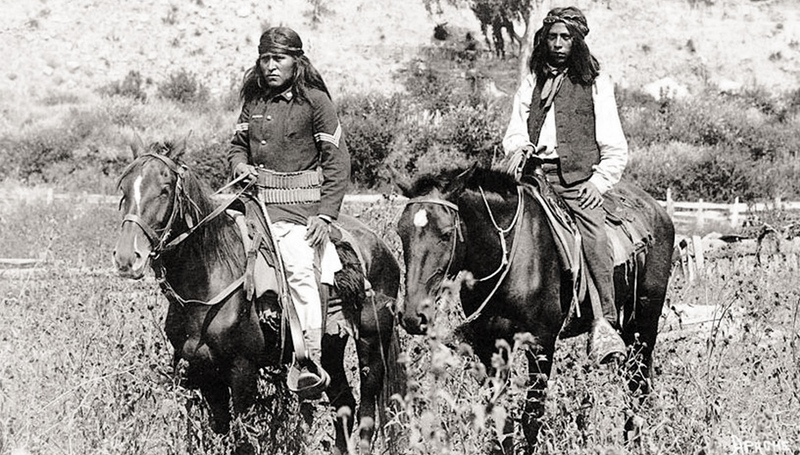 Fifteen years later, at the time of this story, they had been pushed or starved onto reservations, except for some undervalued areas in the current states of New Mexico, Arizona, Colorado, and the Dakotas. The world of the indigenous tribes was coming to an end, the evident meaning of the book’s title. As with his previous novel, Plews, Mr. Dial is at his very best in giving us the climactic battle scene. It is a dirty, gritty, horrifying event with little romance and utterly no mercy. If you’d like to form an impression of what it felt like to be alive in 1880, living in the American Southwest, whether white, black, Indian, or Mexican, this book will help you. If you just want a good, well-researched read that faithfully reconstructs and presents an historical period, this is your book.